March is Women's History Month, a celebration of women's contributions to our country, culture, science and society. Wilson’s largest biography database has combined the in-depth, original profiles of Wilson Biographies Plus Illustrated, plus the thorough periodicals coverage of Biography Index, full-text articles, page images, and abstracts from the complete range of Wilson databases (including biographical profiles, feature articles, interviews, essays, book reviews, performance reviews, speeches, or obituaries). With links to every article focused on any individual in nearly every WilsonWeb database, Biography Reference Bank offers a breadth and depth of information you’ll find in no other biography database. It covers over 500,000 people and includes over 36,000 images! Lesson plans and student activities for Women's History Month from EDSITEment, the best of the humanities on the web. The Women’s History Resource Guides below cover women’s histories from the early days of the United States to the present, reflecting a wide range of content produced by the National Museum of American History. Presented in a variety of formats, the content referenced in the guides features women of achievement as well as ordinary women and their everyday lives. 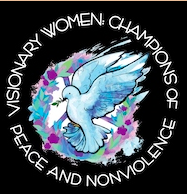 The theme for 2019 is “Visionary Women: Champions of Peace & Nonviolence.” This year we honor women who have led efforts to end war, violence, and injustice and pioneered the use of nonviolence to change society. These Honorees embraced the fact that the means determine the ends and so developed nonviolent methods to ensure just and peaceful results. The theme for 2019 is “Visionary Women: Champions of Peace & Nonviolence.” Examine the changing cultural perceptions of women in society and honor their contributions in the following lessons and activities. The Library of Congress, National Archives and Records Administration, National Endowment for the Humanities, National Gallery of Art, National Park Service, Smithsonian Institution and United States Holocaust Memorial Museum join in paying tribute to the generations of women whose commitment to nature and the planet have proved invaluable to society. From Scholastic, discover women who have made a difference.